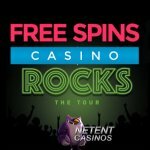 To celebrate its 20 years of existence, and with that 20 years of Innovation, NetEnt decided to come up with something new that would rock the casino world! No sooner said than done, NetEnt indeed managed to rock the iGaming industry with its NetEnt Rocks Trilogy. Not just a series of video slots inspired by rock artists, but created in cooperation with the artists, their record company or family. It’s the only way to go if you want to come up with quality, offering the players an incredible slot experience with original soundtracks of the artist included. 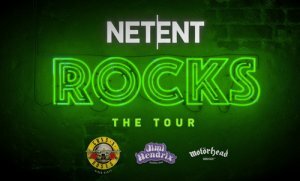 NetEnt managed to sign contracts with the management from Guns N’ Roses, Jimi Hendrix, and Motörhead, three artists that have left a huge footprint in the rock industry in the past decades. This might have been the easy part, though, because how are you going to bring a tribute to a band worshipped by millions while bringing enough video slot fun to satisfy the millions of players at the NetEnt Casinos? Well, leave that up to NetEnt and their talented developers who managed to develop three equally exciting video slots bringing a true homage to all three rock artists/bands. Technology definitely helped the NetEnt Rocks Trilogy to become as brilliant as it can get (for now). Of course, it helps a lot if you are able to work together with some of the most popular record companies or managements who are behind renowned artists such as Guns N’ Roses, Jimi Hendrix, and Motörhead. 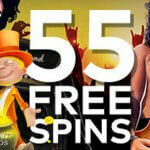 And no matter if a rock fan or not, music from such legendary artists and bands will never bore while NetEnt managed to combine it all with the best gameplay and slot features, bringing a lot of extra excitement to the reels. 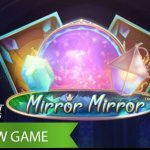 The efforts of a passionate team of developers are certainly visible and I’m sure you’ll have a rockin’ time at the NetEnt Casinos if you choose these particular games to play. Throughout 2016, NetEnt was proud to present three blockbusting rock legends. The first leg in their groundbreaking ‘NetEnt Rocks’ Tour is the unbeatable Guns N’ Roses™ slot. 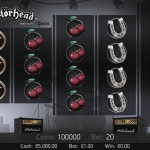 NetEnt, in affiliation with Bravado International Group, really pulled out all the stops to make this rock-themed video slot a success featuring 5 epic Guns N’ Roses hits for players to choose from, as well as a whole bunch of exciting slot features inspired by the band. NetEnt kept on rocking in 2016, bringing the legendary Ian Fraser “Lemmy” Kilmister to the reels as the latest instalment in the NetEnt Rocks Trilogy. This third, and last, title from the NetEnt Rocks Trilogy is bringing you a rockin’ spectacle on the reels with Lemmy in the spotlights. 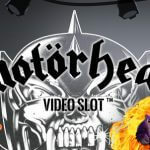 The Motörhead™ slot will sweep you away with the world’s loudest rock ‘n’ roll music including the hit Ace of Spades. No legendary slot without incredible online slot features such as the Bomber Feature and the Mystery Reel feature while Free Spins and Wild substitutions are available as well.